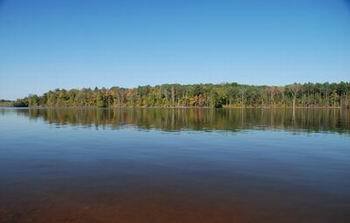 Randleman Lake Reservoir is located on the Deep River, part of the Cape Fear River basin. The lake is surrounded by a natural buffer of 2,975 acres with a lake surface of 3,007 acres, and 100 miles of beautiful shore line. Recreation activities allowed on the lake include boating, fishing, sailing, and paddleboats. Snacks, and restrooms located at marina; no rental equipment available.